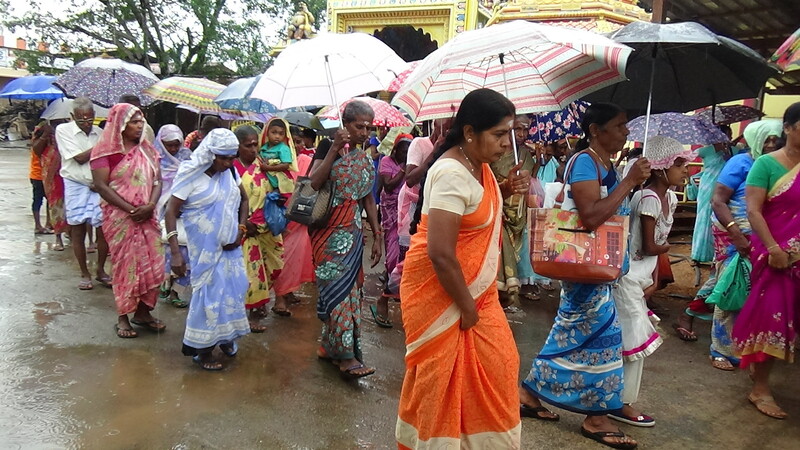 Families of the disappeared in Vavuniya protest today, marking their 715th day of continous demonstration demanding answers for their disappeared loved ones. 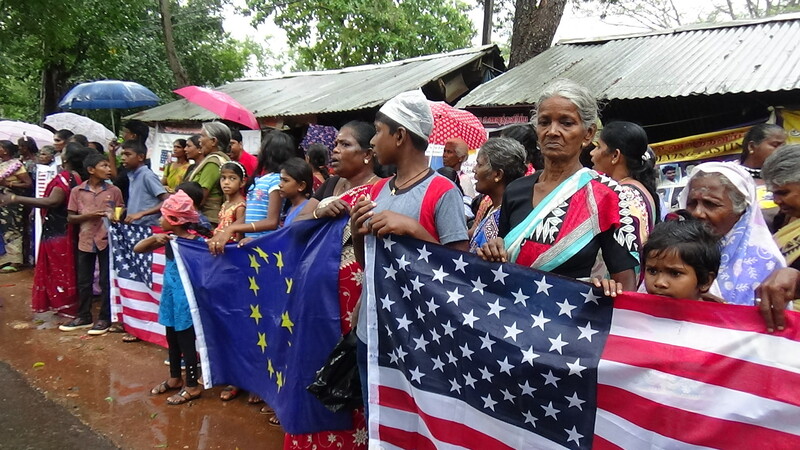 Marching with banners called on the United States and the European Union to take action, mothers of the disappeared also condemned the TNA leadership. 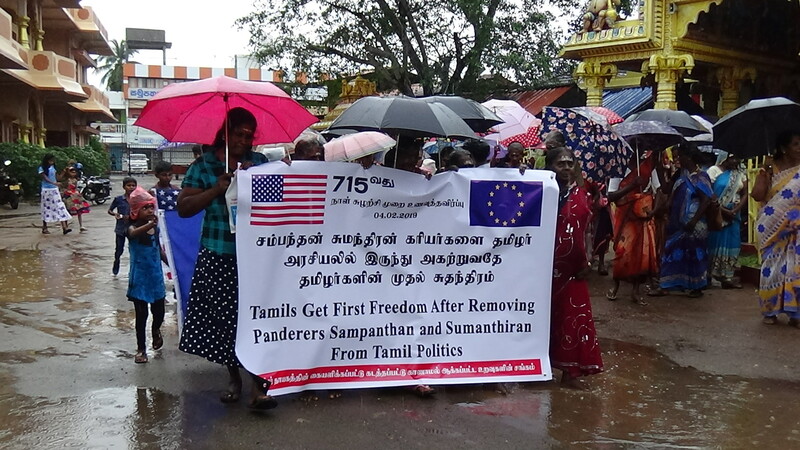 "Tamils get first freedom after removing panderers Sampanthan and Sumanthiran from Tamil politics," a large banner read. Families of the disappeared have been protesting continously, demanding the government provide answers to the whereabouts of their loved ones.